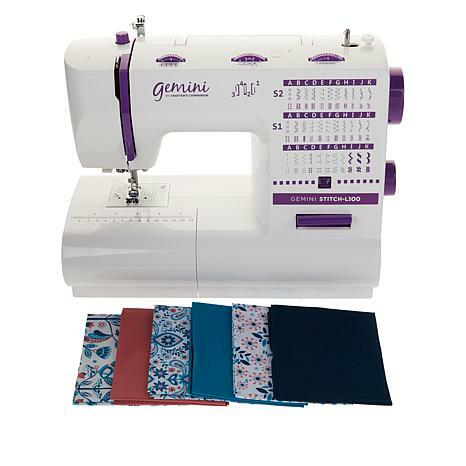 Bursting with features, the Gemini Stitch Sewing Machine is the ideal starting point for any crafter wanting to start their sewing adventure or reignite their love for sewing. Unlock the full potential of the Gemini Stitch by allowing it to join creative forces with the Gemini Die-Cutting Machine (sold separately), and take mixed media projects to a whole new level! 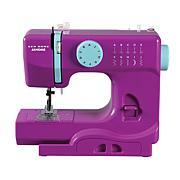 Enables you to stitch through a range of materials with ease and precision. Threaders 6pc Fat Quarter- "Pretty Peacocks"
As a newbie sewer, this machine was fun and easy to use. It did a great job on my project. And it has so much more functionality that I have to explore, so this is right for me. The machine is pretty easy to set up as it is basic, which I knew it would be. It is probably like the older machines we were used to back when. Metal (insides?) and comes with a small tube of oil. 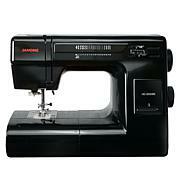 I mainly got this machine because I wanted something that would go through thick materials. IE: a bowl made with cording and wrapped with fabric. It does. But it is really noisy. I can deal with it, after awhile I doubt I'll notice that much. I am sorry I got this machine. I got it for the price, and I wanted some fancy stitches. I studied and compared machines, and decided on this one. 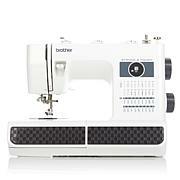 First one I got locked up on me at the stitch dial A-K. HSN exchanged it. Second one did the same thing but not until 11 days after the 30 day return period. Gemini does not have good CS,no troubleshooting, does not answer emails or return calls when they said they would. Very unhappy with this machine. It's LOUD, uneven and loopy stitches! 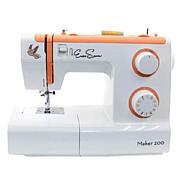 This is a good sewing machine but it gets jammed up a lot. I am thinking of returning it.